Nothing to add - this is such a different material from all domestic ducks and geese CDC's. Don't expect any selected feathers of one grade only ! 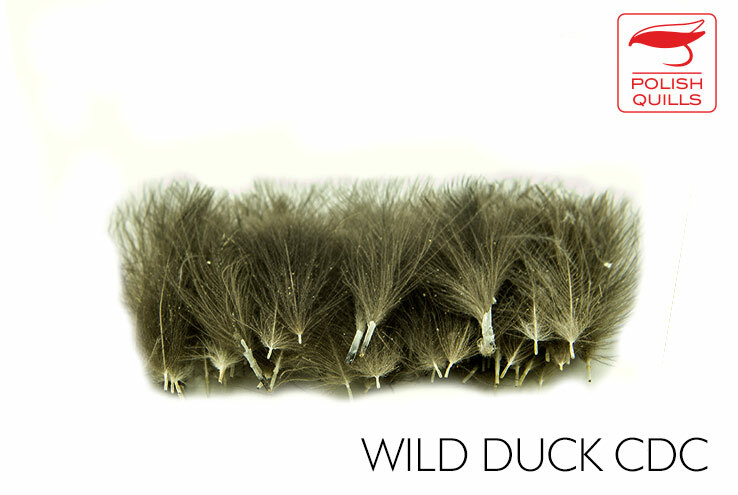 This is raw CDC from wild ducks taken as it grows ! Feathers are quite dark and naturally oiled. Arek, our top fly tyier, refuses to tie flies smaller than 14's with any other CDC. We have a very limited quantity of these feathers.